IMPEACH 45. You heard that right folks, it's time to stand up and say what's really on our minds...let's get number 45 out of office and get someone that cares in! 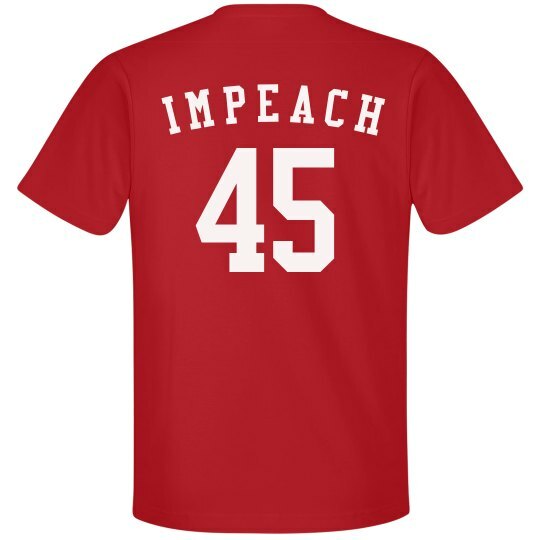 If you're not a fan of our current president, then this impeach 45 jersey will make the perfect political statement.